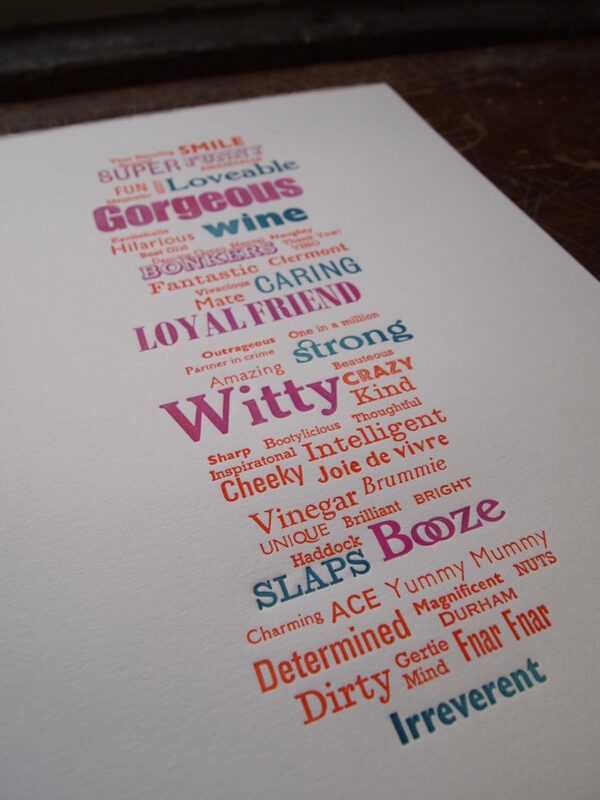 To celebrate this lucky lady’s milestone birthday, her husband asked her friends to submit a word or two that summed up their friend and this is the resulting print. Printed in 3 colours on Fabriano Rosaspina 250gsm paper (approx. A4). 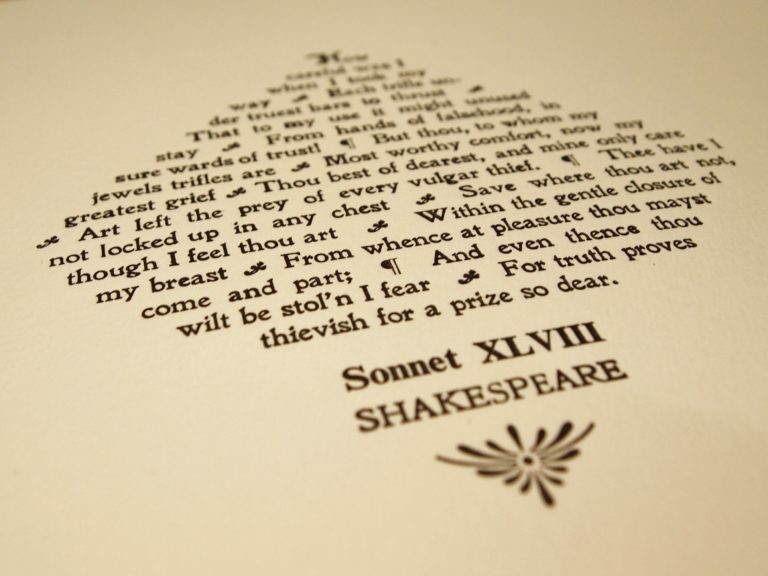 This was printed to celebrate the 500th year since the death of Shakespeare. The project was commissioned by the Bodleian Library in 2016, who invited letterpress studios from around the world to partake. You can read more about the project here and see the full list of participants’ work here. 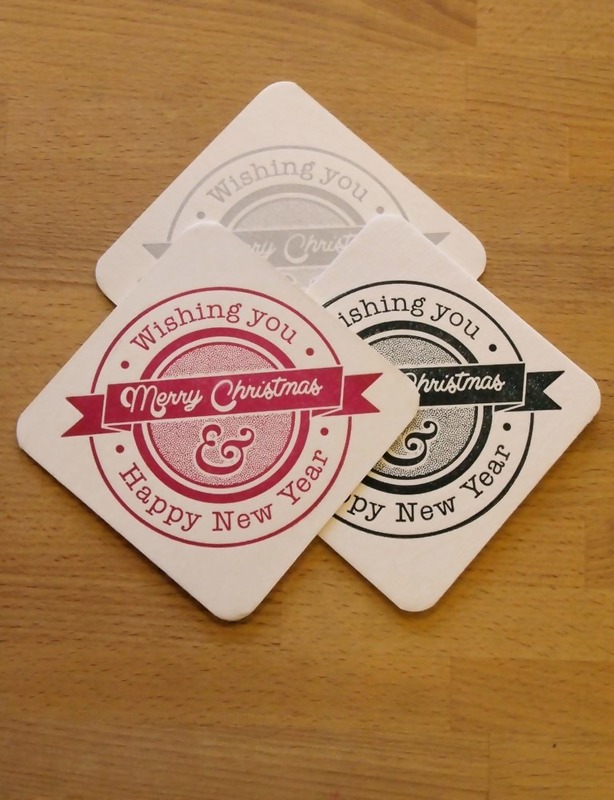 These coasters are great for festive table decorations or bunting perhaps! 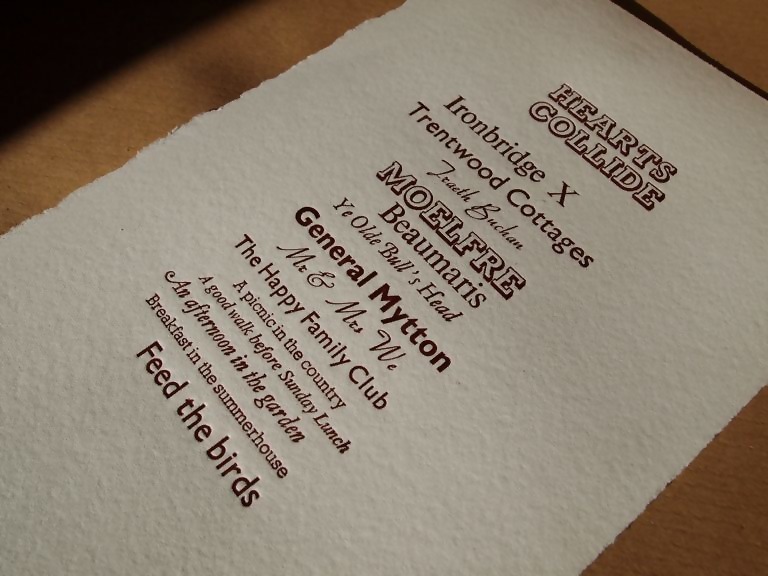 They’re printed using the modern photopolymer process on our fabulous 130 year old Squintani treadle press. These are truly luxurious wedding invitations. 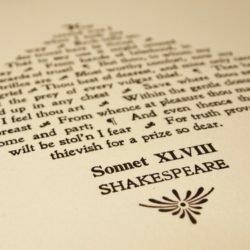 Printed on a beautiful 100% cotton paper, we have created a photopolymer plate from a hand drawn illustration and hand set the text with vintage metal type. 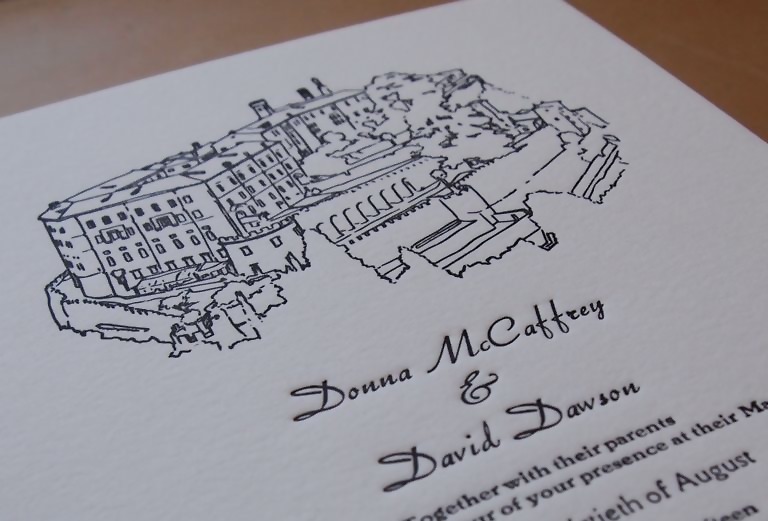 The invitations have been finished with a subtle silver hand painted edge and were supplied with 100% cotton envelopes. 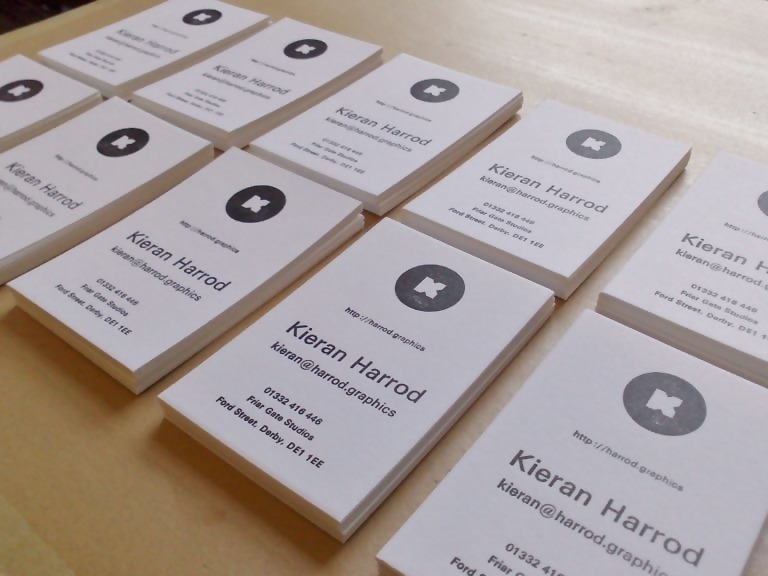 Letterpress business cards make a real impression with clients. 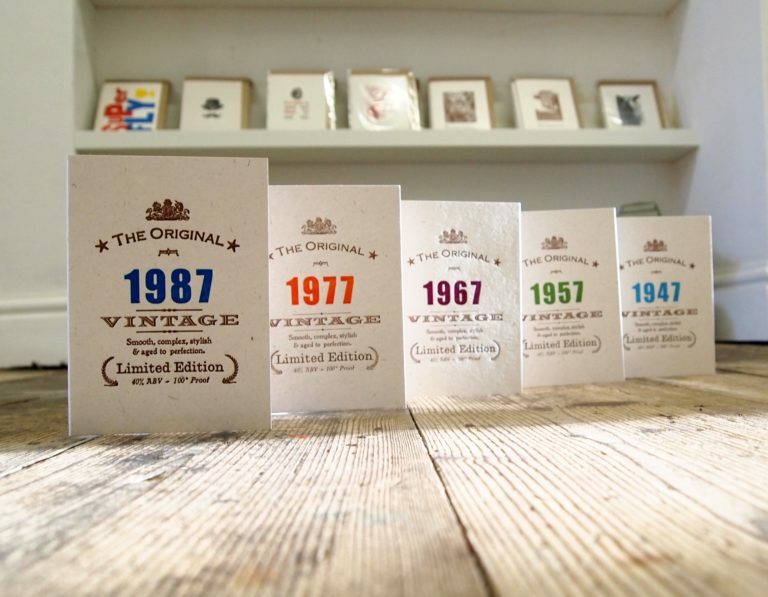 We use beautiful heavy papers in a range of colours and hand set vintage metal type. Logos blocks are recreated for a perfect impression of company branding. Our clients come to us for something unique, often to celebrate momentous occasions – weddings, anniversaries and births. We print on a beautiful Italian cotton paper, Fabriano Rosaspina and hand set the supplied words using our vintage metal type.